Singer and song writer. Photographer. Born in Tokyo. Studied physics in U.S.A. Fluent with English. 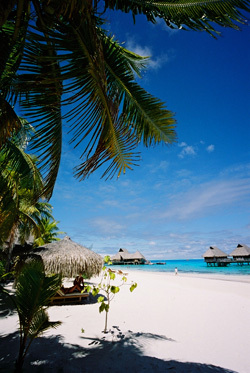 Recently, "resort and beach" are the terms to get inspirations for the creativities. Earned the vibes of punk, noize, and pre-emos during in the U.S.A. in the 90s. Sings from low to high and gives an impression of a female voice. 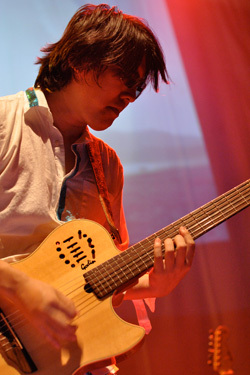 After finishing college, coming back to Japan in 1999, became serious of being a singer and songwriter, playing electric and acoustic guitars and bass guitar, producing, recording, mixing, and computer programmings. In March, 2001, produced the sound tracks for Nippo Electric which exhibited at Lighting Fair 2001 in Tokyo Big Site in March, 2001. Wrote 3 insturmental songs (cart, m.o.m., friction) and the string arrangement, played guitars, synth, programmings, and produced. The songs were played in the "cafe" styled futuristic booth and the 2,500 corporate CD-ROMs were given away at the exhibition. In September, 2001, a Japanese Label, Flavor of Sound, released a brasilian flavored club oriented organic song, compilation album, Weekend in Tokyo, which contains Yoshinari Nakamatsu's solo track, "CART- OFF THE GROUND MIX-." 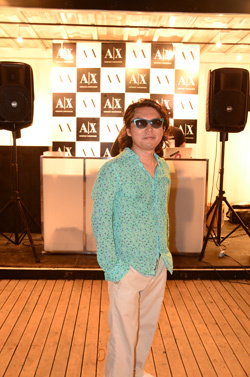 The song was played several times on J-WAVE, a Japanese major radio station, and was remained in CRJ chart for 3 weeks. In September 14, 2001, made a live recording of 3 songs on Laguna Beach, CA, by a Mini Disc Recorder. Besides the terrorism at that time, the recording with children's screemings and the sound of waves behind the vocal and "$100 nylon strings guitar" gives peaceful image. "The method to record the tracks is as if opening a full aperture to shoot the atomosphere around me." 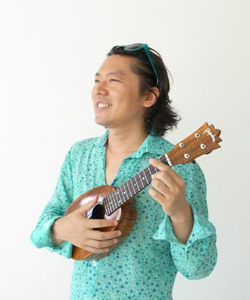 After the trip, the live tracks had additional flute by Kazuo Yoshida. Released as "Given Holiday" with additional studio track. in 2002, formed a band, AVAILABLE LIGHTS, and played in Tokyo and Yokosuka, etc. 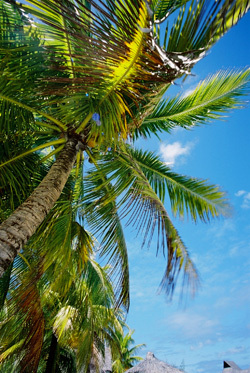 Featured brazilian style acoustic guitar sound, flute, vocals, percussions, drums and bass. Playing wide range of music genres from Bossa Nova, Samba, Latin Jazz, to Reggae, which tends to mix all of the essence in each kind. "Trying to make you feel like being in Summer." 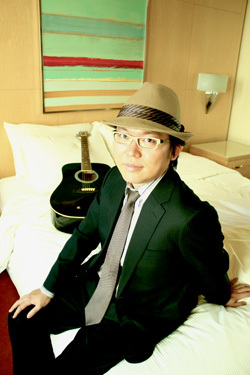 In 2004, produced a Japanese acoustic combo, Chouchin, and recorded, mixed, and mastered. In 2004, organized the event, "SAUNA," where people can relax and feel couzy with DJs and live music. In 2006, succeeded to have "SAUNA - DEAR WINE-" in Dr. NakaMats House Colosseum and made an article on a French Fashion Magazine, NUMERO TOKYO, released in September, 2006. 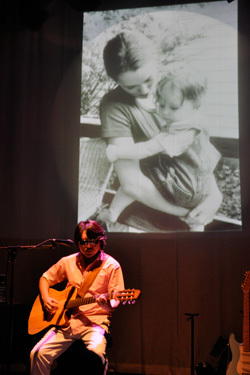 In Sep. 2007, took a solo live tour in New York. After retruned to Japan, participated for September Concert at Yoyogi Park Out Door Special Stage. 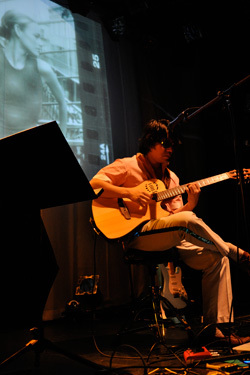 Akki & Yossi, with Akimasa Yamada (Laptop PC), made for having "Head Phone Live" which musicians and audience put on head phones, had an official debut live at Le Placard TOKYO. In Jan. 2008,played a role of an owner of jazz bar for JR East Japan Mobile SUICA radio advertisement. Broad casting a studio live from Tokyo to Tomoko WIller's photo exhibition in Paris, which was reported in Ryukyu Shinpou News Paper. 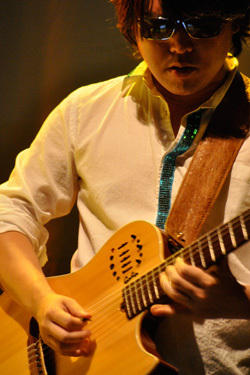 In July 7th, 2008, released the 1st solo EP "Cafe De Yoshi" from his new own label "DNR," having 6 songs based in a concept of "Brazilian music meets Oceanin music" played in Bora Bora (Tahiti) . In October, 2008, agented by Kallos Entertainment, Inc, Japan. In April 7, 2009, an interview on a weekly Japanese magazine, Asahi Geinou. In July 22, 2009, "Cafe De Yoshi" EP was released digitally in iTunes Stores in Japan and foereign countries, including 2 extra tracks (Another way, You Can Be Like That -Dub Mix-). In September 16, 2009, "Given Holiday" was released digitally in iTunes Stores in Japan and foereign countries. It contains the moment of a live recording on Laguna Beach,CA, a few days after 911. In September 21, 2009, Digital release live for 2nd EP "Given Holiday" at Apple Store Ohsaka. 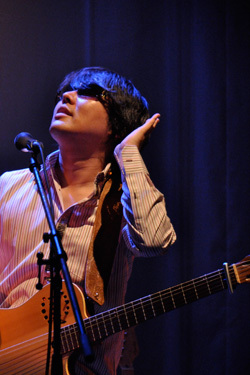 In September 22, 2009, Digital release live for 2nd EP "Given Holiday" at Apple Store Shibuya. Performed with Kazuo Yoshida (Flute) to reproduce the live recording track. In November 13, 2009, "Nemuru Tsuki" was used for the making movei of a Japanese fashion magazine "Digital eF" with a model, Rina. In February 2010, released an instrumental version of "Tell Me - Spring Flake Mix-" at an Asian Funiture webstore "Cocosia"
in April 2, 2010, made the opening track "Mantsu No Taiyo" for podcast show "Applie Clip" which records 150,000 downloads. 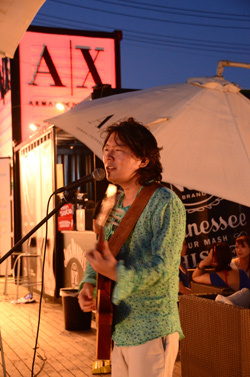 In June 13, 2010, organized an event "Johan & Yosshy" with a Swedish Singer and Song writer J.C. Schutz at Daikanyama Loop. 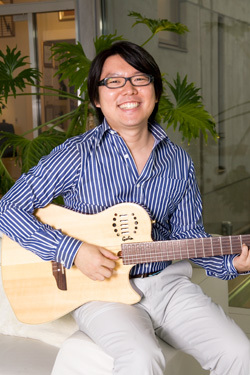 In July 22, 2010, performed at a convention "Green Biz"
In September 15, 2010, appeared on a TV show "Ichihachi" (TBS), had 15% rate view and ranked in the top 10 of internet seach ranking of the week. In Septmeber 22, 2010 organized an event "Te Ni Te o (From Hand to Hand)" at Daikanyama Loop, with Palm reader and facial massager. In November 20, 2010 organized "SAUNA -Autmn Fest- "Riad"" at Dr. NakaMats House, played music by 5 classical musicians, served Morccan bears, wines, and sweets. In December 1, 2010年 appeared on a Japanese TV show "Ichihachi" (TBS). In Feburary, 2011, organied an party "Intimate" at Ometesandou "EATS and MEETS Cay"
In September 14, 2011 had a solo gig of "10th Anniversary Live" at Gaienmae "Tsuki Miru Kimi Omofu"
In November 16, 2011, made the sound track and the sound effects of 34 staffs in the website of Dentsu Strategy Consulting Group. In June 5, 2012, appeared on TBS "Motemote Ninty Nine"
In October 12, 2012, appeared on TV Asahi "Oh! Doya Gao Summit"
In October 13, 2012, performed at "Relay For Life Japan 2012 Tokyo Shiba Park"
In November 13, 2013, appeared on NTV "Daredatte Haran Bakusho"
In September 27, 2014, performed in "Relay For Life Japan 2014 Tokyo Ueno Park"
SInce 1998 thru 2002, working on a concept of mixing photos and live music, coined the term "PHOTOACTING." Taking documentary photos of an American single mother and wrote the original sound tracks inspired by the photos. Produced the photos, the music, and the concept by Yoshinari Nakamatsu himself. Played PHOTOACTING since 2001 in Japan. In 2003, made a private trip to Rio De Janerio and later the photos became masterpieces of his works (see the photo exhibition, GIVEN HOLIDAY). In November, 2006, had a photo exhibition, GIVEN HOLIDAY, at EX-LOUNGE, Tokyo, Japan. Placed three pcs in a triangle, a projector, black and white prints, SX-70 polaroids, and medium and big color prints. The sound of the beach from Brazil trip in 2003 was played inside the gallery, whereas listened to a different song/a sound of a neach from a head phone in each pc, having a unique environment at every spot - the merge of different sound and photo medias. In May 2007, became one of the radio DJs in the internet radio station, Otonamazu, and having his own weekly radio show.